I Spy—one of the most popular action-adventure television series of all time—ran only three seasons (1965-68); nevertheless, the show spawned not one, but two “soundtrack” LPs, both of which have long been highly sought-after collector’s items. FSM’s first volume of Earle Hagen’s music from the series used the original television recordings because only one of the discs was available to license at that time. Happily, the situation has changed. I Spy starred Robert Culp and Bill Cosby as undercover agents whose work took them all over the world (the show’s location photography and the interplay between the leading characters were two of its many strengths). This gave composer Hagen the opportunity to write music in a vast array of (meticulously researched) ethnic styles, from south of the border to the European continent and all the way to the Far East. This variety is reflected on these LP tracks, where Hagen extends his essentially big band palette to include the colors of Mexico, Japan, Greece, Italy, Hong Kong and the U.S.A. From lyrical, blues-flavored melodies to rhythmically-driven action cues, Hagen (along with colleague Hugo Friedhofer—who composed three of the tracks on this CD) captures all the excitement and drama of this Emmy award-winning series. FSM designer Joe Sikoryak incorporates numerous series stills, original album art (and liner notes), sheet music, composer photos and a gallery of heroes and villains from the show in an eye-catching 16-page booklet. Notes are by television music historian Jon Burlingame, who brings special authority to the subject—he conducted the five-hour video interview with Hagen for the Archive of American Television. In addition, a personal letter from Hagen about the albums is posted on the FSM online notes site. I Spy is a musical adventure like no other—savvy, sophisticated and smart. No wonder Bill Cosby repeatedly used the word “hip” in his liner notes for the second album. Now, after years of waiting, fans can listen and hear for themselves. An absolutely remarkable release, Lukas, especially since it involves two different recording companies. I don't know how you did it, but I, for one, am very grateful. As Cosby would say, "Here's to the wonderfulness of yourself!" (track 12). When Warner Bros. Records released the first LP, there was another hit WB album being released the same week, so WB put its advertising behind that other album, with the result that Hagen's efforts went relatively unnoticed. A year later, the same thing happened with the Capitol Records LP and the disc went into cut-out limbo. Finally Hagen can get the recognition that he so richly deserves. Thanks a million times, Lukas. I'm definitely on board for this one! Yes, I've ordered this in a heartbeat. However, I would be doing 'Vol.1' a huge dis-service if I didn't once again express my disappointment that no further volumes of the original scores would appear to be forthcoming. I too would love more complete score releases for this show (preferably in U.N.C.L.E-style two-disc sets for $24.95 because there are SO many original scores--one for each episode!--worthy of release). For now, though, this is fantastic! These LPs were long due for CD treatment as they were brand new re-recordings. I am incredibly impressed that Lukas pulled off releasing them together considering the different owners. Major kudos! I was listening to the sound clips, when I came across one that sounded very familiar. Track No. 7, "Away We Go to Mexico," reminded me immediately of the theme for The Bill Dana Show, a TV series that ran 42 episodes in 1963-1965. Low and behold, the Dana theme was composed by Earle Hagen. So how could I remember a theme from a forgotten TV show of 4 decades ago? Well, it was on one of the first LPs I ever purchased, called "1963's Major Motion Picture and Television Themes." In its expanded version on that LP, the Dana theme was so memorable that I recorded it onto a mix tape that I play to this day. See for youself if you can hear the similarities. Here are the shortened TV version of the Dana theme and the FSM clip. And you can hear one of the cues that Hugo Friedhofer composed for the series that's on the Capitol album. This one is ordered - just perfect to go with Vol. One. Thanks, Bob. You learn something new every day. The "Mexico" cue was always a highlight of every Mexico episode that it appeared in. 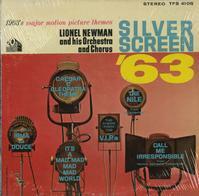 ...the "1963's Major Motion Picture and Television Themes" album was conducted by Lionel Newman, on 20th Century Fox Records TFS 4105 (Stereo). It would be interesting to hear the expanded "Bill Dana Show" cue.